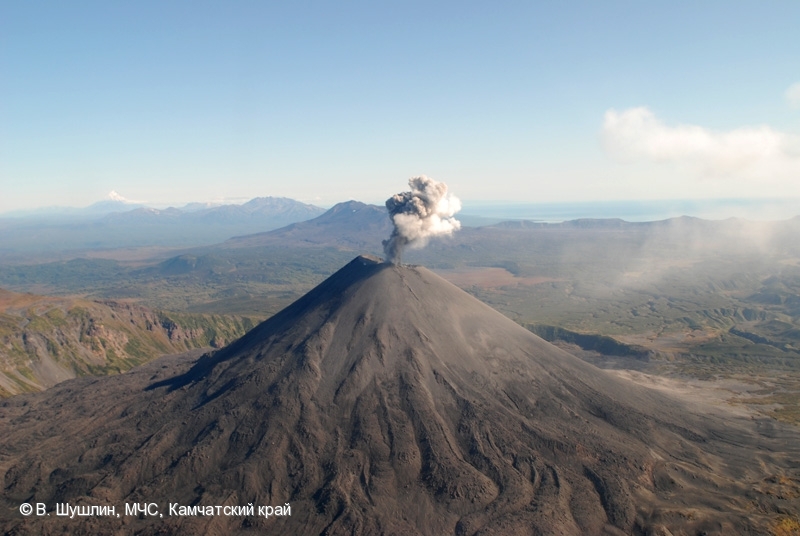 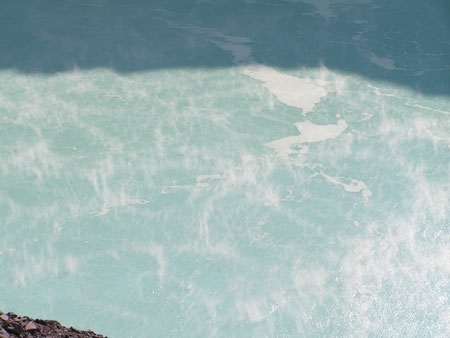 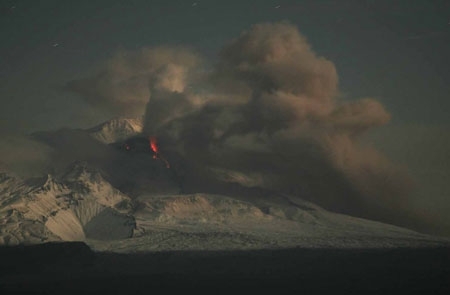 Explosive activity of Karymsky volcano on September 16, 2008. 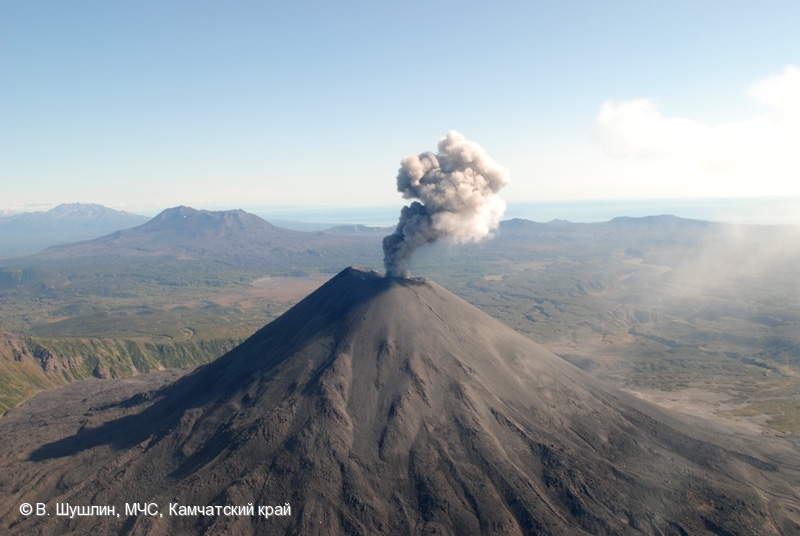 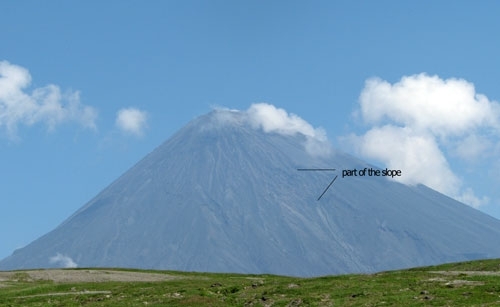 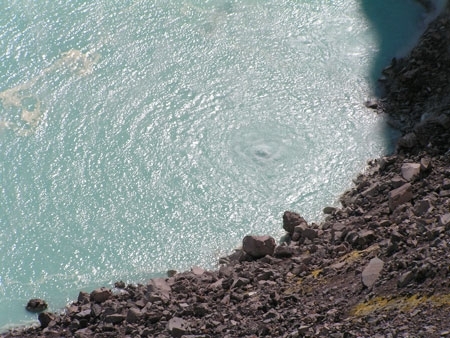 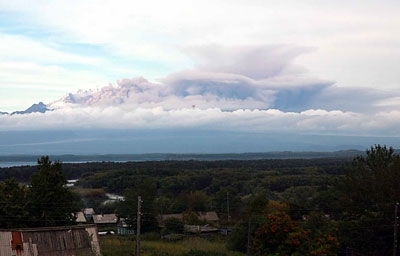 State of Karymsky volcano on September 15, 2008. 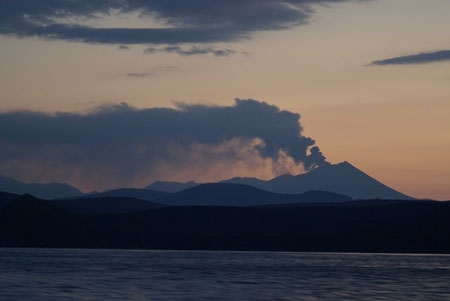 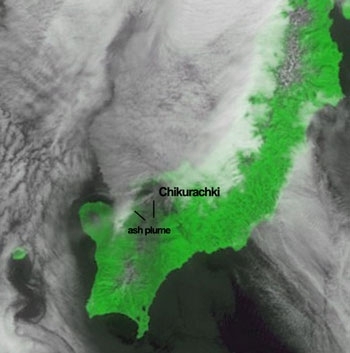 Ash plume is extending to the south from Chikurachki volcano on July 31, 2008. 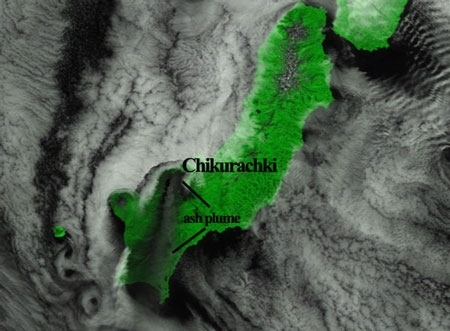 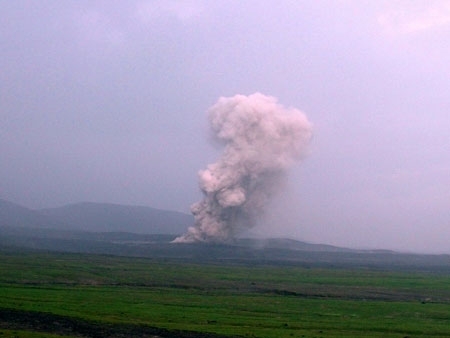 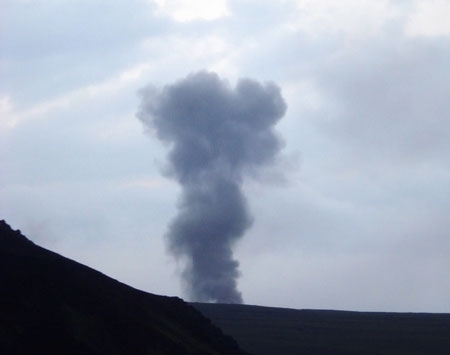 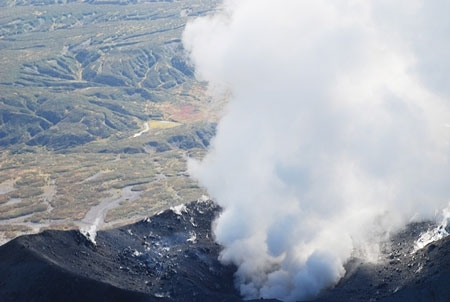 A gas-steam plume containing ash is extending to the west-southwest from Chikurachki volcano on July 29, 2008. 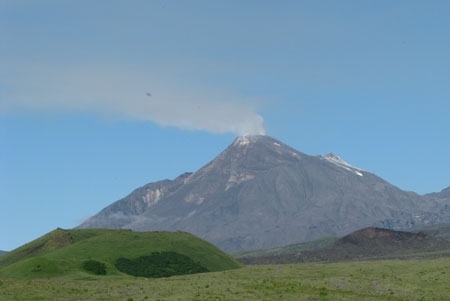 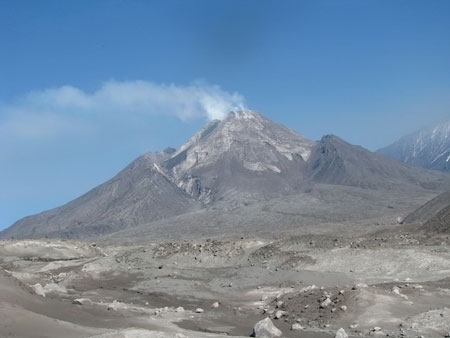 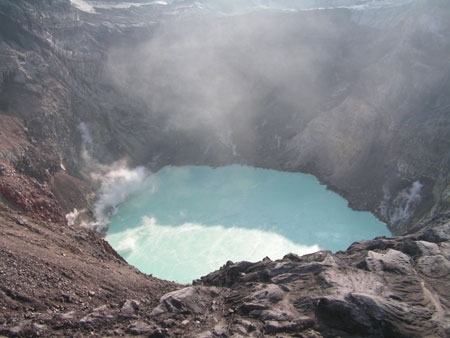 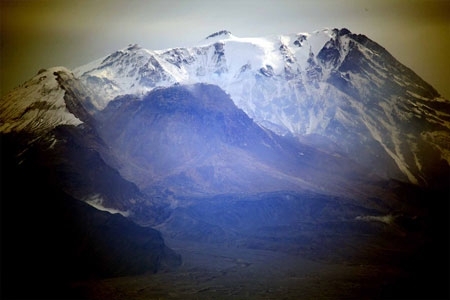 Fumarolic activity of Bezymianny volcano on July 20, 2008. 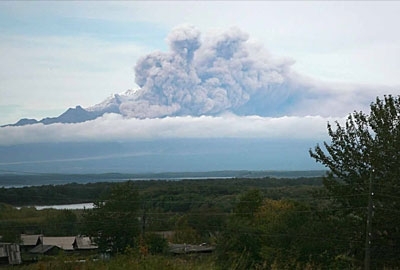 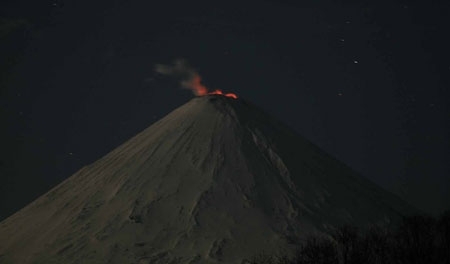 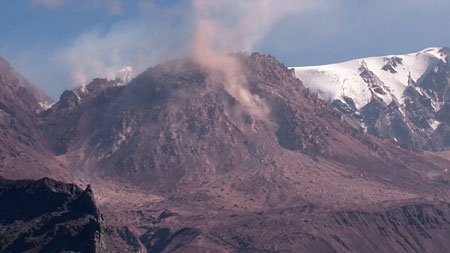 Fumarolic activity of Bezymianny volcano on July 19, 2008.